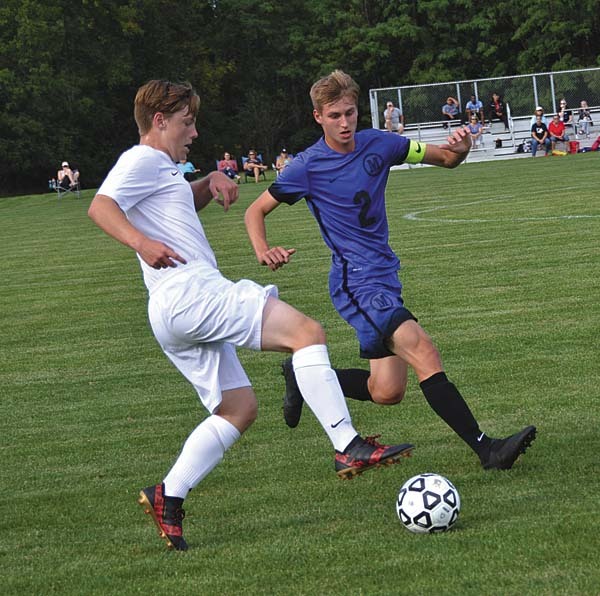 JOHNSTOWN — Dylan Bumpus netted a hat trick to power Mayfield to a 9-1 victory over Mekeel Christian Academy in a Western Athletic Conference boys soccer contest that was played at Fulton-Montgomery Community College. Britain Goodemote had two goals and an assist for the Panthers, while Daniel Leach scored twice. Colby Brandow had a goal and two assists for Mayfield (2-0 overall, 1-0 WAC), while Josh Wasson also scored. Anthony Yuret had two assists for the Panthers, who outshot Mekeel Christian by an 18-5 margin. Dylan Leach Colby Hime and Garret Delaney each had an assist for Mayfield. Lens Lima scored the lone goal for Mekeel Christian on an assist from Daniel McCarty. 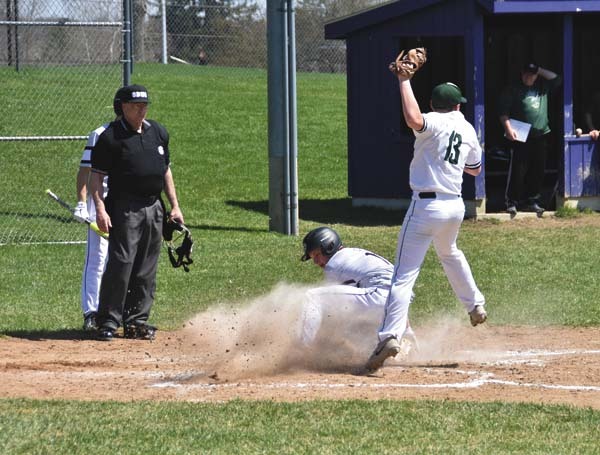 Evan Lehr (1 saves) and Owen Graf (3 saves) shared the win in goal for the Panthers, who face Greenwich today in the Mayfield Tournament at Broadalbin-Perth at 5 p.m.
NORTHVILLE — Jack Brundage scored twice as Oppenheim-Ephratah/St. Johnsville scored all three of its goals in the first half in a WAC victory over Northville. Mason Snell also scored for the Wolves, while Zach Mosher had two assists. Jaedyn Logan Dillenbeck also had an assist for OESJ (3-0 overall, 1-0 WAC), which outshot Northville by a 10-2 margin. Adam Vasquez made two saves to post the shutout in goal for the Wolves. Daniel VanNostrand made three saves for Northville (0-3 overall, 0-1 WAC). 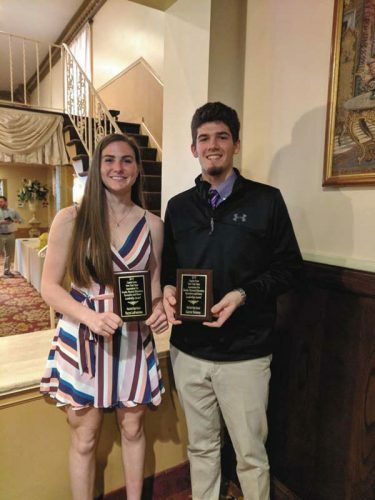 CANAJOHARIE — Henry Flint made three saves to help Galway to a scoreless draw with Canajoharie. Jared Bentz made 14 saves for Canajoharie (1-2-1 overall), which was outshot by a 16-3 margin. 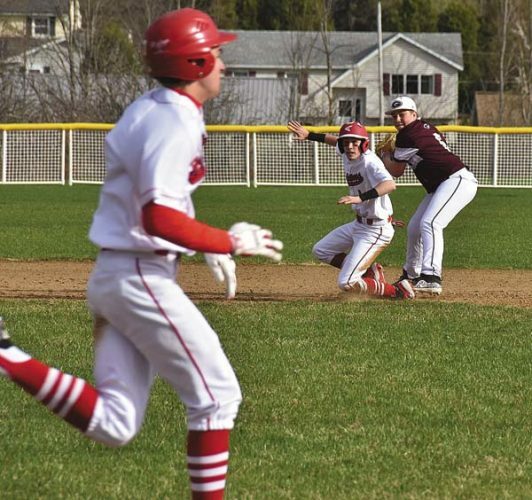 Galway (1-1-1 overall) is scheduled to host Mayfield on Monday at 4:30 p.m.
Canajoharie is slated to travel to Notre Dame-Bishop Gibbons on Monday for a 4:30 p.m. contest. MIDDLEBURGH — Connor Barber scored twice to lead Notre Dame-Bishop Gibbons to a WAC victory over Middleburgh. Will Lawson also scored for the Golden Knights. Cole Nelson made 17 saves to post the shutout for Bishop Gibbons. Will Bankston made three saves for Middleburgh. DOLGEVILLE — Jake Null scored twice to lead Dolgeville to a victory over Owen D. Young on Aug. 30. Owen Davies and Austin Green also scored for the Blue Devils. Nolan Peplinski and Kyle Weaver scored for Owen D. Young. Jacob Grossman (5 saves) and Brian Lamphere (16 saves) shared the win in goal for Dolgeville. Alex Kennedy made 10 saves for Owen D. Young. 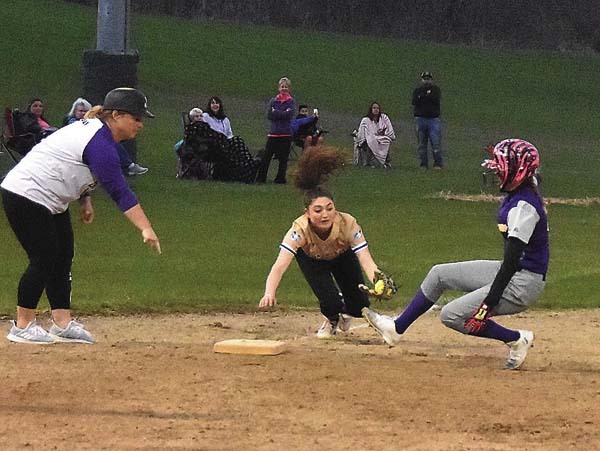 Dolgeville (3-0 overall) is scheduled to travel to Old Forge on Monday for a Center State Conference contest at 4:30 p.m.